Are you an artist or cultural professional looking to go for a festival, residency, training or research trip? Apply to Mobility First! 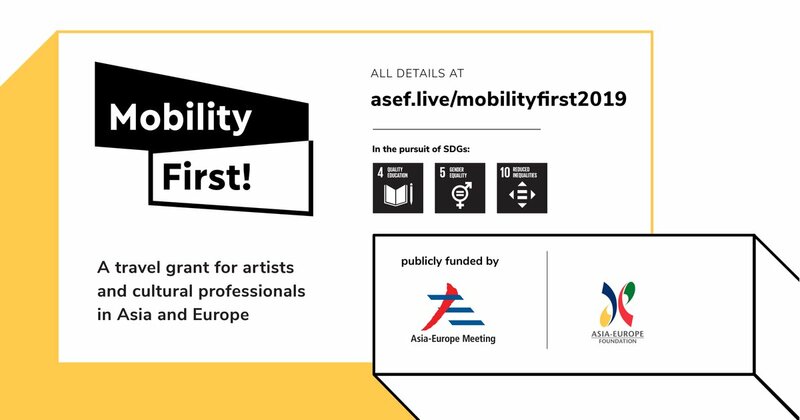 – ASEF Cultural Mobility Initiative, the Asia-Europe Foundation (ASEF)’s travel grant for artists and cultural professionals. Application form for individuals here. Application form for arts organisations here. For more information, visit ASEF Mobility First.